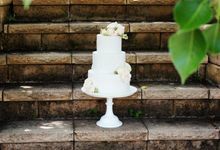 Chloe was absolutely wonderful to work with and was a great option for us for our wedding cake. She was full of ideas and was very flexible with altering the design to provide us with a range of price options. Our cake ended up matching the wider colour scheme of the wedding perfectly and we got many compliments on how delicious it was! 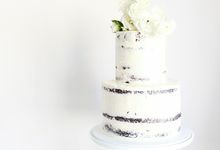 One tier was gluten free due to dietary requirements in my family and it was absolutely delicious and loved by gluten-free and non gluten-free eaters alike. I have no hesitation in recommending Chloe to anyone! 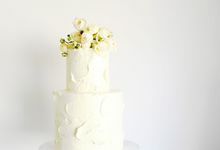 Our cakes are baked from scratch, no packet mixes or bought in pre-made cakes. Using only the best quality natural ingredients, we use local free range eggs sourced in the Illawarra, high quality butter and organic ingredients where we can. Process starts with design, once we have a design in place we then choose your cake flavours. 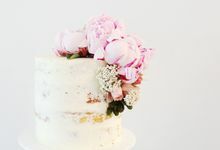 Certain elements such as sugar flowers can take weeks to create, the process is started 2-4 days before your event - depending on the complexity of your design. 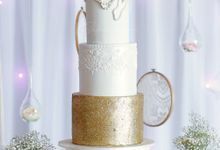 We do only take on a limited number of cakes per week, ensuring your bespoke creation receives much care, love and attention. This means we can be booked out quite quickly, especially in peak season. 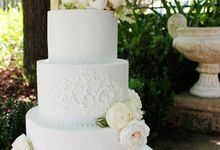 Chloe Kerr Cake was established in 2008 our first order was a pretty pale pink three tier christening cake.